This beer featured "cooperation and kinship" ingredients from each of the Midwest brewers' states: MN wild rice, IN honey, MO oats, MI hops, and IL cocoa nibs. 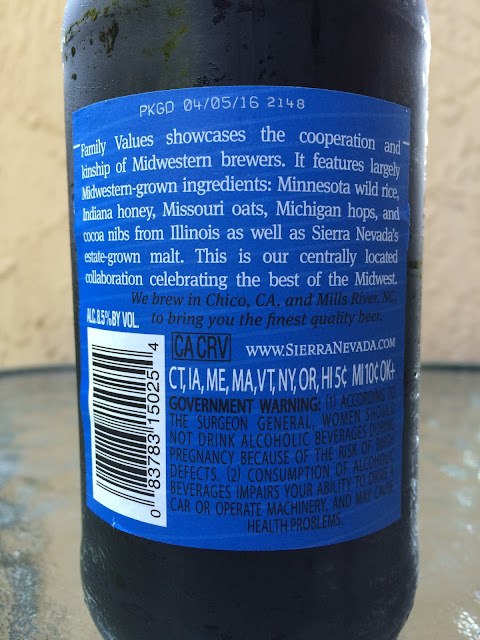 Oh, and NON-midwest Sierra Nevada estate malt. Brewers included August Schell, Dark Horse, Half Acre, Perennial Artisan Ales and Sun King. Nice nuttiness and a rich chocolate malty aroma. 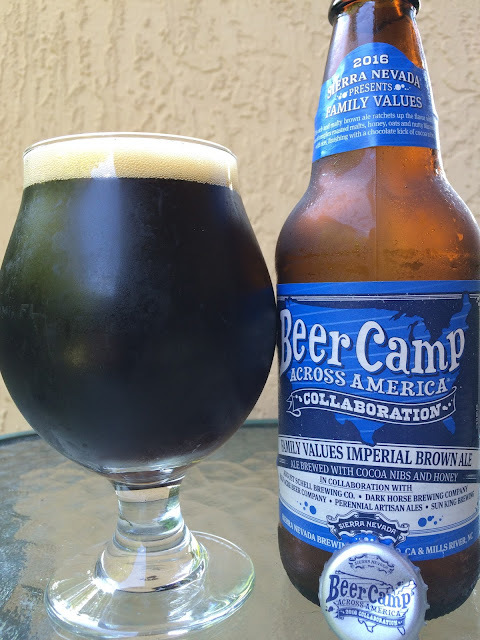 Pretty interesting brown ale, lots of fun flavors and nuances. Nutty, roasty start, never harsh. Rather, a great honey sweet touch and some milky flavors come next, most excellent. That nutty flavor comes with a little char and hints of chocolate. Great rich body. Sweet yet nicely hoppy and balanced. The best from this pack and I like the concept behind the beer too! Yum!